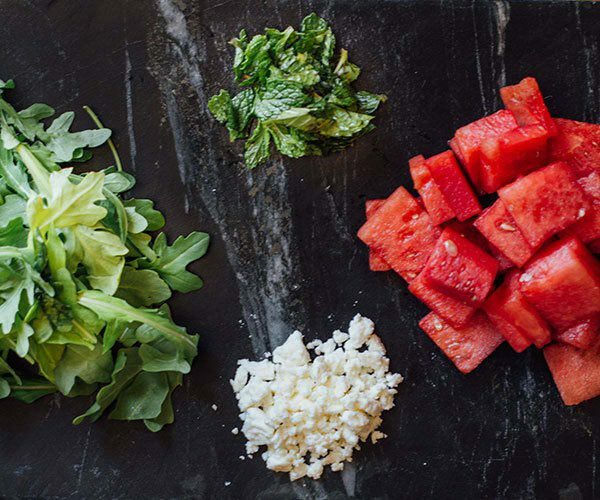 Salads don’t have to include a lot of ingredients to taste phenomenal. 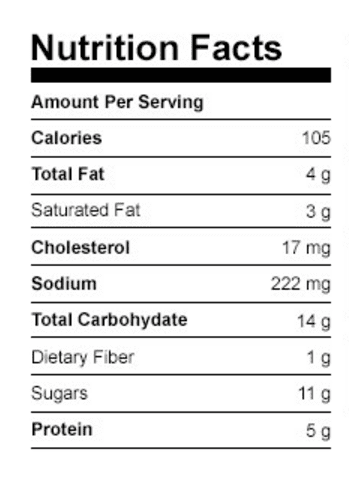 This 21 Day Fix-inspired recipe has only 4 ingredients that work perfectly together. 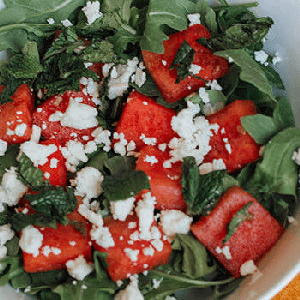 Peppery arugula is topped with juicy watermelon and fresh mint leaves. A sprinkling of feta cheese is the finishing touch. 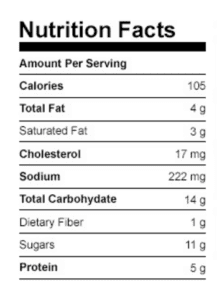 This salad takes just a few minutes to make, so even people with busy schedules can find time to eat a healthy meal. A drizzle of good balsamic vinegar is all the dressing you need. 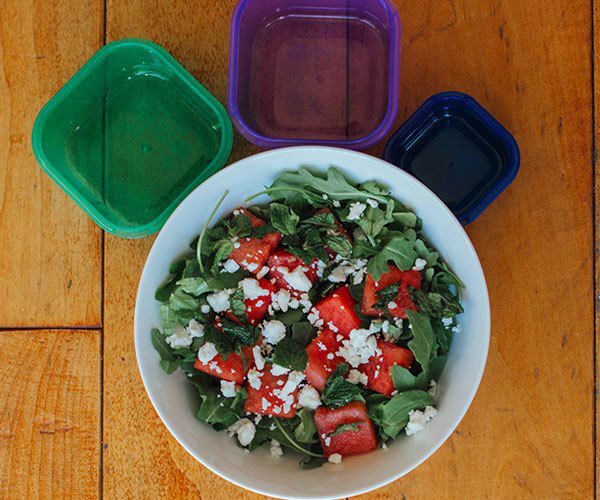 For those following the 21 Day Fix Eating Plan, this salad uses 1 green, ½ purple, and ½ blue container. Place arugula on a serving plate. 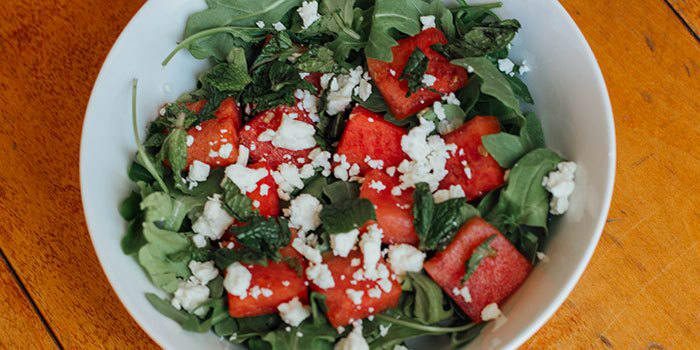 Top with watermelon, cheese, and mint.